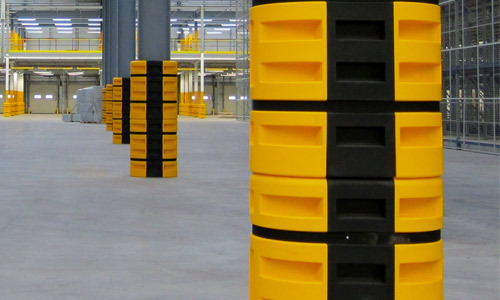 Ensure a safer working environment for your staff and reduce damage to stock by installing MezzNets™ between your mezzanine floors and the top handrail. Suitable for single storey and multiple storey applications, MezzNets™ – Mezzanine Hand Rail netting installs quickly and easily with the aid of easy-to-use cable tie fittings, or the Gripple wire net system. 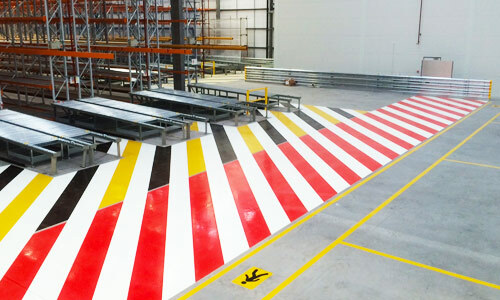 Made from 2.3mm high-tenacity and durable polypropylene stitched cord, it affords a strong, effective and easily maintained barrier – enhancing your workplace safety and eliminating the replacement costs associated with other mezzanine protection systems. Our new MezzNets™ Handrail Safety Netting – 10 metre easy-fit package contains all that is required to quickly ensure a safer working environment. 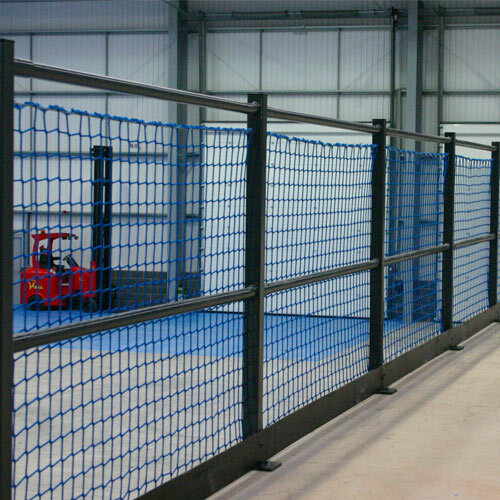 The package includes a 10 metre length of safety netting and set of fittings to ensure safe and easy installation to your mezzanine handrails. 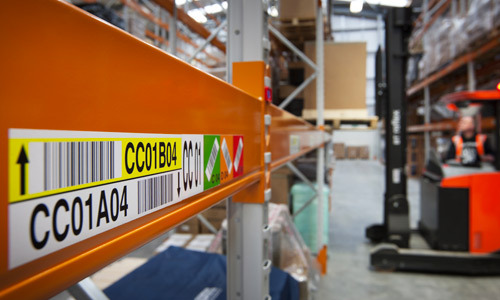 Call us today on 01925 710923 to secure your package – making an affordable and positive improvement to your facility’s safety. If required we offer a hassle- free and comprehensive installation service carried out by our trained professionals. 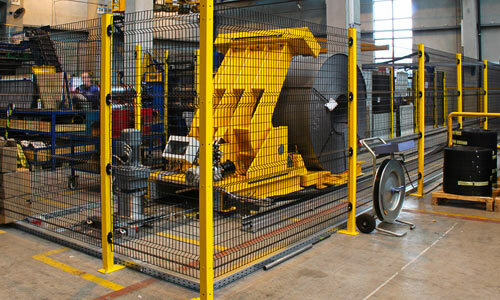 Require a more bespoke solution? 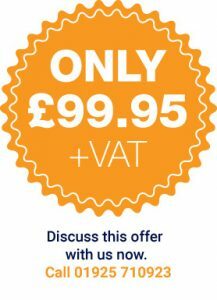 Call us for a competitive quote.